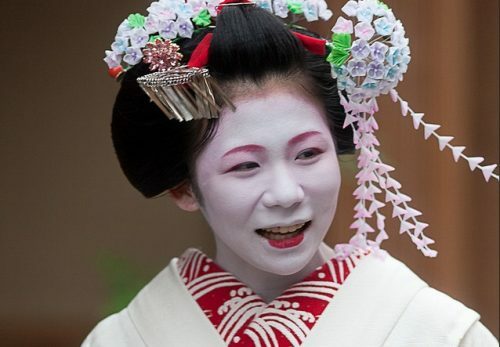 Cherry blossom become full bloom in this month and Maiko has Cherry blossom on their Kanzashi as well. 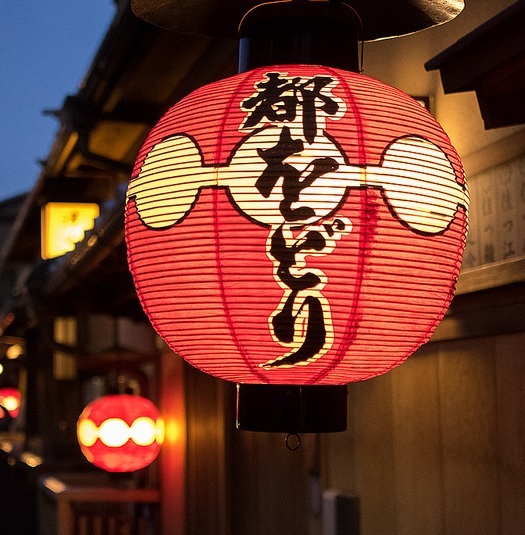 In hanamachi,cherry blossom season means ‘Odori(dance performance)’period. 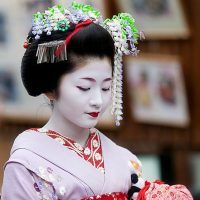 You could see many Geiko, Maiko and Shikomi-san who walk from Okiya to Kaburenjo, back and forth under cherry blossom trees. Shikomi-san carry big and heavy bags and walk after their senior…could you guess what they think of? They rehearse what they have to do at Gakuya in their mind. Well there are another attractions in this month. 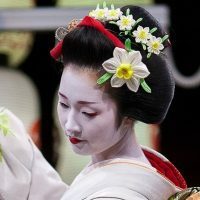 Normally Geiko put wig on their head but only in Odori(dance performance)program of Gion Kobu, you could see Geiko use their own hair to put up the hair style. 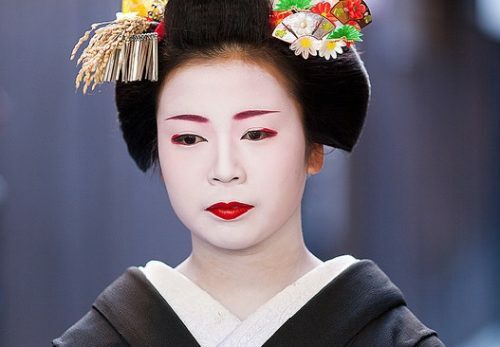 Another one is the pattern of Kimono. 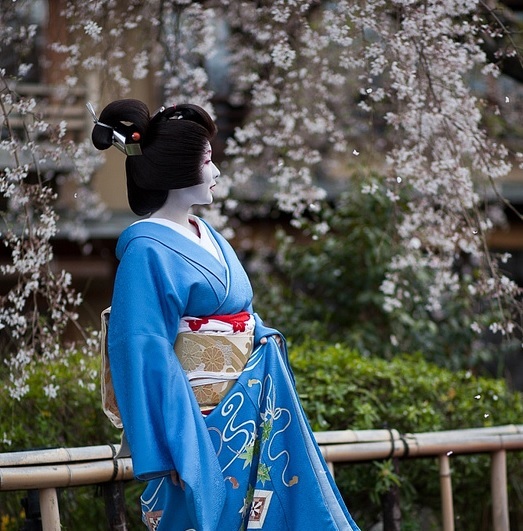 As cherry blossom fall,Gieko and Maiko changed Kimono with wisteria pattern. 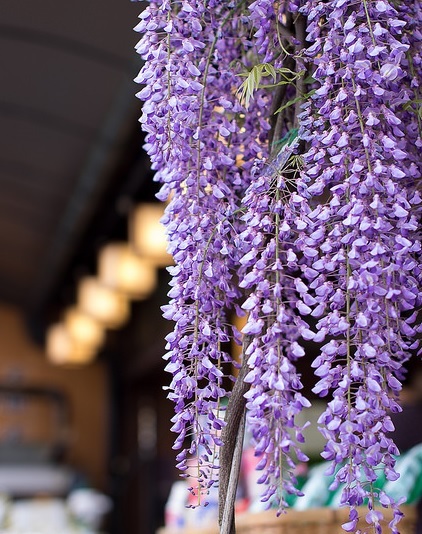 And Maiko put wisteria to their Kanzashi as well. 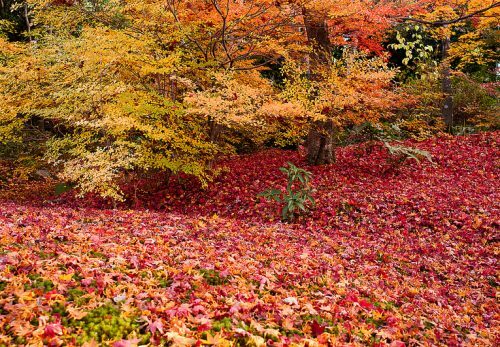 I am sure that many Tourist and amateur photographers want to take photos as many as they would like and do not want to miss any Photography chances. Off course cars and bikes are driving on the road even though it looks like pedestrian precinct! It is untill the first week of April,Please hurry! 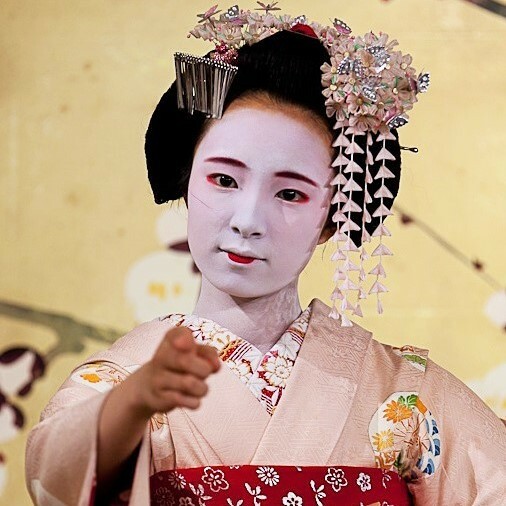 This is the Spring Odori by Gion Kobu of Kyo Mai Inoue style. It is going to be hold for one month and 4stages per day. 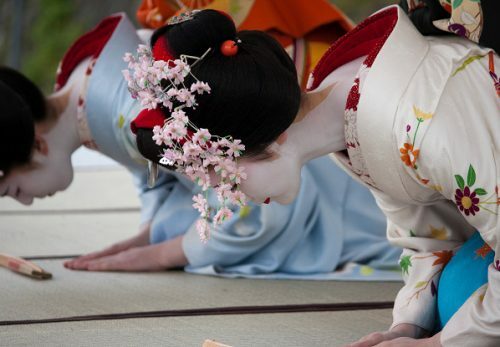 Geiko and Maiko are trying hard. 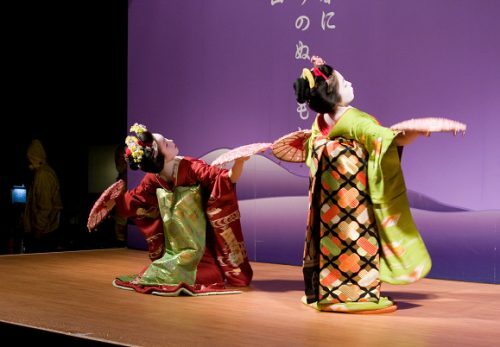 This is the Spring Dance by Miyagawacho of Wakayagi style. The stage is gorgeous and brilliant,it entertain us very much. 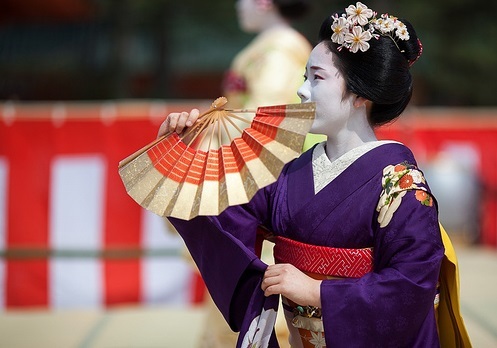 Heian-jingu Shrine dedication dance will been held one day before the festival of Heian jingu. 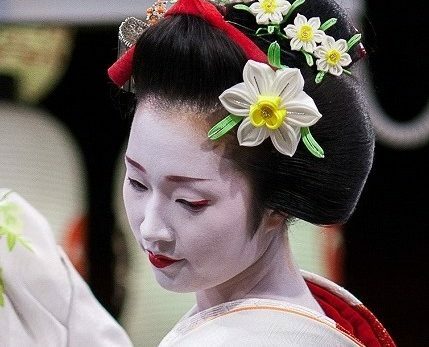 Maiko will do dedication dance in front of Heianjingu. Regulation for the photography becomes severe year by year. Kyoto,hanamachi is full of cherry blossom in this month..